Note that in the early days of our village, building was centered around the town square which is still there in the big open space in front of the Methodist Church. Building was not done around Sand Point (from what is now The Pitt Stop to the “Loop” because it was thought to be too low in elevation and prone to flooding. 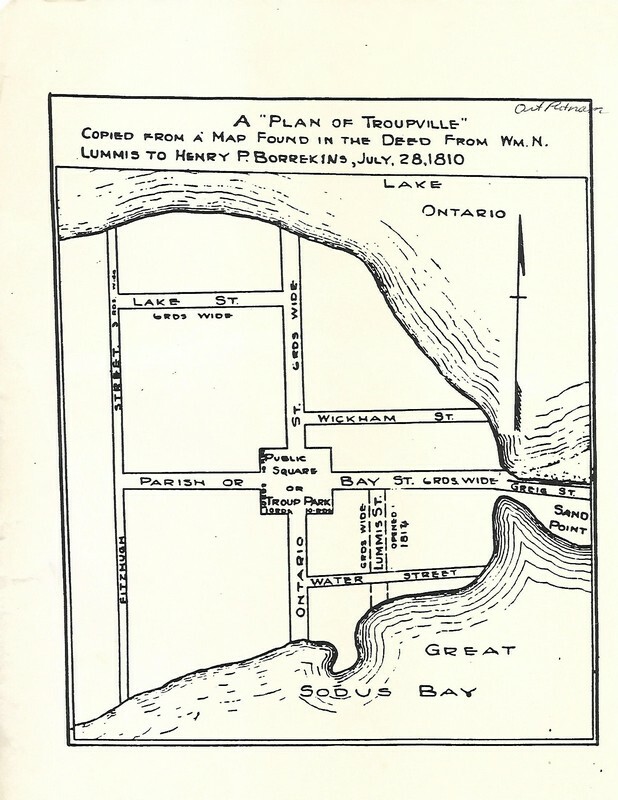 Also note the numbered streets had not yet been claimed from Lake Ontario as of 1810. One final note: It is easy to see from this map why the British landed where they did during the Battle of Sodus Point on June 19th 1812. The water came right up to where the Pitt Stop is now and it was the closest landing spot to the buildings in Troupville.